I wanted to interrupt my discussion of the great Apparition of October 13, 1917 at Fatima to share with you a bit of good news that just came out of Egypt during the last few hours: the Holy Father Pope Francis, Successor of Saint Peter, has signed a joint declaration with His Holiness Tawadros II, Pope of Alexandria and Patriarch of the See of Saint Mark, in Cairo recognizing for the first time in much more than almost sixteen centuries that there is a common Baptism shared between the Church of Rome and the Church of Alexandria. The mystery of Jesus who died and rose out of love lies at the heart of our journey towards full unity. Once again, the martyrs are our guides. In the early Church the blood of the martyrs was the seed of new Christians. So too in our own day, may the blood of so many martyrs be the seed of unity among all Christ’s disciples, a sign and instrument of communion and peace for the world. Today we, Pope Francis and Pope Tawadros II, in order to please the heart of the Lord Jesus, as well as that of our sons and daughters in the faith, mutually declare that we will not repeat the baptism that had been administered in either of our Churches for any person who wishes to join the other. This we confess in obedience to the Holy Scriptures and the faith of the three Ecumenical Councils assembled in Nicaea, Constantinople and Ephesus. We ask God our Father to guide us, in the times and by the means that the Holy Spirit will choose, to full unity in the mystical Body of Christ. While the distance between this declaration and full Communion between the ancient Sees of Saint Mark and of Saint Peter is known only to God, this is good news. Good news in a darkening world. Please include a prayer of thanksgiving to the Blessed Virgin Mary, who is our common Mother, sometime today. And don’t forget that her title Mother of God that we now say so easily and take so much for granted had once, a very long time ago, to be defended against a monstrous attack waged against her; and her most stalwart defenders in that troubled time came from the Church of Alexandria. And the Mother of God, the great Θεοτόκος, never forgets a good turn done to her, whatever disasters the intervening years, decades, centuries, or millennia bring. The Holy Father Pope Francis met today with the Ecumenical Patriarch of Constantinople Bartholomew at the Papal Nuncio’s residence in Jerusalem. The two then proceeded together and conducted a public prayer service at the Church of the Holy Sepulcher, site of our Lord’s crucifixion, death, burial, and Resurrection. The Bishop of Rome and the Patriarch of Constantinople both gave eloquent discourses on the need for unity, with the Patriarch giving a moving description that, (to paraphrase) no matter how much power the secular authorities think they have to shape the fortunes of man, history is ultimately and forever subject to the will of God. He spoke as well of how the reunification of the ancient Church in the East and West in communion would be truly a “resurrection from the dead.” The Holy Father prudently pointed out that divisions still remain, and that the role of the Bishop of Rome and the exercise of his “special ministry” would have to be agreed upon. This remains an incredibly hopeful event. 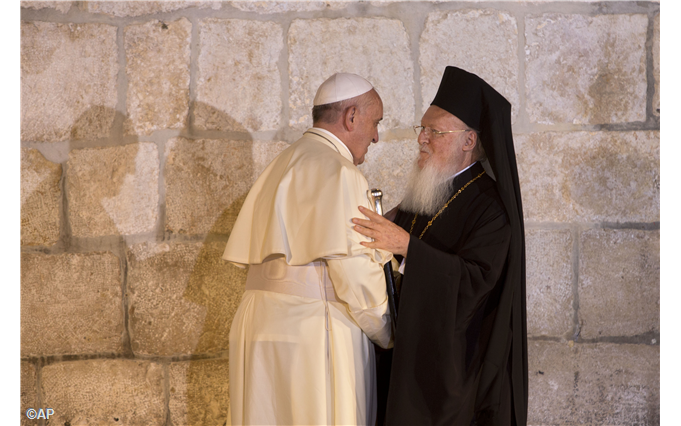 This meeting of the heads of the Eastern and Western churches, along with the representatives of the ancient Oriental Orthodox churches, at the site of the empty tomb and together singing the praises of our Lord’s Resurrection is nothing to be sneezed at. Deo gratias! Pray the Joyful Mysteries of the Rosary on Monday for the See of Constantinople, the Sorrowful Mysteries on Tuesday for the See of Antioch, the Glorious Mysteries on Wednesday for the See of Jerusalem, the Luminous Mysteries on Thursday for the See of Alexandria, and the Sorrowful Mysteries on Friday for the See of Carthage; for their liberty and their salvation and for the restoration of their ancient status as pillars of the one, holy, catholic, and apostolic Church in communion with the See of Peter in Rome; for the conversion of the Jewish people and the conversion of the Muslim peoples. Τοῦτο πρῶτον ποίει, ταχὺ ποίει, χώρα Ζαβυλων, ἡ γῆ Νεφθαλιμ ὁδὸν θαλάσσης καὶ οἱ λοιποὶ οἱ τὴν παραλίαν κατοικοῦντες καὶ πέραν τοῦ Ιορδάνου, Γαλιλαία τῶν ἐθνῶν, τὰ μέρη τῆς Ιουδαίας ὁ λαὸς ὁ πορευόμενος ἐν σκότει, ἴδετε φῶς μέγα – οἱ καταοικοῦντες ἐν χώρα καὶ σκιᾶ θανατοῦ, φῶς λάμψει ἐφ’ ὑμᾶς. Primo tmepore alleviata est terra Zabulon et terra Nephthali: et novissimo aggravata est via maris trans Jordanem Galilaeae gentium. Populus qui ambulabat in tenebris, vidit lucem magnam,; habitantibus in terione umbrae mortis, lux orta est eis. A rich prophetic utterance from Isaiah here. First it is necessary to look at the situation of the lands of Zabulon and Nephtali during the prophet’s lifetime. They were part of the northern kingdom of Israel. This kingdom had its capital at Samaria about 75 miles north of Jerusalem and was composed of the ten tribes who separated from their southern neighbors after the death of David’s son King Solomon some two centuries before. Isaiah was a southerner and the southerners generally regarded the northern kingdom as less pure in terms of religion. The northern kingdom covered a larger area and was closer in proximity to the population centers of the pagan kingdoms such as Tyre, Sidon, and Damascus that surrounded it than the more isolated southern kingdom of Judah was. Pagan ideas crept into the life of the northerners and all throughout the history of that kingdom it was continually reproached by God’s prophets (Elijah was based in the north and had continual confrontations with the northern king Ahab and his pagan wife Jezebel) for their lack of fidelity to the Covenant and their worship of foreign gods. Then during Isaiah’s lifetime catastrophe struck. The Assyrian army struck and annihilated the northern kingdom in 721 B.C. The kingdom was destroyed and the ten tribes, following the general policy of the Assyrian empire at that time, were deported from their land and scattered among the nations. These are the celebrated ‘ten lost tribes’ that every crackpot archaeologist worth his salt has claimed to have found everywhere from Zimbabwe to Minnesota. But in truth they disappeared and lost their identity as the People of God. This was the reward for their constant and unrepentant infidelity The land though was resettled completely by pagans and plunged into darkness. This is what Isaiah saw in his lifetime. To prophesy that a great light would come from the lands of Zabulon and Nephtali, the Galilee as it was starting to be called, was courageous indeed, and would have seemed absolutely ludicrous to any of Isaiah’s hearers. But, many centuries later, such a thing did happen. The greatest Light that has ever come into the world walked through these lands. Our Lord, God Himself, would come into the lands of Zabulon and Nephtali and proclaim that the Redemption of mankind was at hand. It is a lesson in how history and human memory work that during his life on earth our Lord was continually excoriated by the Jewish leadership of his day that he could not be a prophet because no prophet ever came from those lands. Those lands that had been plunged into darkness first by the treason and infidelity of the northern kingdom and then by its dissolution and the permanent destruction of its inhabitants. But Light did shine in the darkness and the darkness has not overcome it. This is the way God works, is it not? And it is a passage that can in fact not only be applied to geopolitical circumstances but to our own individual lives as well. All of us walk in darkness and into our lives we must let the Light shine. But let’s come back to the idea of lands that were long ago plunged into darkness. Might a great Light not shine once more in them? Is it impossible? As we have seen it has happened before. Fifteen centuries ago the Middle East and North Africa were solidly Christian, but they being were ripped apart by schism and controversy and division that would not heal. Then in the seventh century the armies of Islam emerged from Arabia and cut off the Middle East and North Africa. Over the long centuries that followed the greatest apostasy in Christian history occurred with the Church diminishing greatly in strength and numbers in the Middle East and in Egypt and disappearing completely in North Africa. Darkness fell upon those lands with the advance of Islam. Might a great Light shine again there in the future, at some hour known only to God? Pray the Joyful Mysteries of the Rosary on Monday for the See of Constantinople, the Sorrowful Mysteries on Tuesday for the See of Antioch, the Glorious Mysteries on Wednesday for the See of Jerusalem, the Luminous Mysteries on Thursday for the See of Alexandria, and the Sorrowful Mysteries on Friday for the See of Carthage; for their liberty and for their salvation and the restoration of their ancient position as pillars of the one, holy, catholic, and apostolic Church in communion with the See of Peter in Rome; for the conversion of the Jewish people and the conversion of the Muslim peoples. The Holy Father Pope Francis is scheduled to make a pilgrimage to the Holy Land May 24-26, 2014. There he will meet with representatives from all of the ancient churches in Jerusalem including the Ecumenical Patriarch of Constantinople Bartholomew I at the Church of the Holy Sepulcher. The Pope states that he was inspired to do this by Bartholomew’s invitation at his installation (the first attended by a Patriarch of Constantinople in more than a millennium) last March. Deo gratias! and wonderful news! 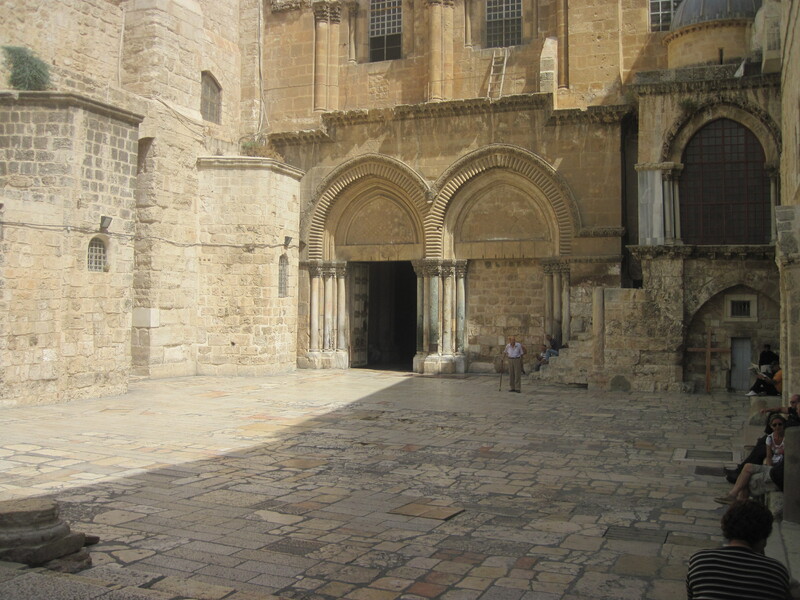 The Courtyard of the Church of the Holy Sepulcher that covers the ground where our Lord was crucified, died, and rose from the dead in Jerusalem (taken by me August 1, 2011). Pray the Joyful Mysteries of the Rosary on Monday for the See of Constantinople, the Sorrowful Mysteries on Tuesday for the See of Antioch, the Glorious Mysteries on Wednesday for the See of Jerusalem, the Luminous Mysteries on Thursday for the See of Alexandria, and the Sorrowful Mysteries on Friday for the See of Carthage; for their liberty and their salvation and the restoration of their ancient position as pillars of the one, holy, catholic, apostolic Church in communion with the See of Peter in Rome; for the conversion of the Jewish people and the conversion of the Muslim peoples that peace be brought to this earth. Today is the feast day of the first called Apostle, brother of St. Peter and founder of the church of Constantinople St. Andrew. Andrew was a disciple of John the Baptist who went along with the beloved disciple St. John to follow our Lord at the direction of John the Forerunner. He later introduced his younger brother Simon to the Lord who made of him Peter the Rock on which He built his Church. Tradition records that St. Andrew went north after Pentecost to found the church of Byzantium on the Bosporus, the future site of Constantinople and later preached in what is now Russia and in what we now call the Ukraine but what was then broadly called Scythia. He was martyred in the Peloponnese in southern Greece, crucified by the Roman governor. St. Andrew is the great patron of the East, the older brother of Simon Peter the founder of the See of Rome. Peter was ordained Prince of the Apostles not by his own choice or merit, but by the will of God. The East and the West are brothers, the East older while the West is younger but with the Apostolic See of Rome given primacy by its founder, its history, and the inscrutable divine Will. 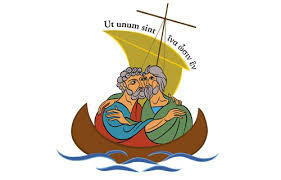 Pray for the unity of the Church, the unity between East and West, and to paraphrase Bl. John Paul II that the Church may breathe with both lungs once again. Pray the Joyful Mysteries of the Rosary on Monday for the See of Constantinople, for its liberty and its salvation, and the restoration of its ancient position as a pillar of the one, holy, catholic, and apostolic Church in communion with the See of Peter in Rome and for the conversion of the Muslim peoples. Gratias agentes Deo Patri, qui dignos nos fecit in partem sortis sanctorum in lumine: qui eripuit nos de ptestate tenebrarum, et transtulit in regnum filii dilectionis suae, in quo habemus redemptionem per sangiunem ejus, remissionem peccatorum: qui est imago Dei invisibilis, primogenitus omnis creaturae: quoniam in ipso condita sunt universa in caelis, et in terra, visibilia, et invisibilia, sive throni, sive dominationes, sive principatus, sive potestates: omnia per ipsum et in ipso creata sunt: et ipse est ante omnes, et omnia in ipso constant. Et ipse est caput corporis Ecclesiae, qui est principium, primogenitus ex mortuis: ut sit in omnibus ipse primatum tenens: quia in ipso complacuit, omnem plenitudinem inhabitare: et per eum reconciliare omnia in ipsum, pacificans per sanguinem crucis eius, sive quae in terris, sive quae in caelis sunt. Jesus Christ is King, not just of us but of all. Let us pray that all mankind be united under Him. Pray the Rosary. Monday for the See of Constantinople, Tuesday for the See of Antioch, Wednesday for the See of Jerusalem, Thursday for the See of Alexandria, Friday for the See of Carthage: for their liberty and their salvation and the restoration of their ancient position as pillars of the one, holy, catholic, and apostolic Church in communion with the See of Peter in Rome; for the conversion of the Jewish people and the conversion of the Muslim peoples. Jesus Christ shed his Blood for them too and He is King of us all. It seems altogether fitting to pray the Sorrowful Mysteries of the Rosary on Friday for the See of Carthage. Once a mighty fortress of the Catholic Church it has long been reduced to ruins and desolation. This is the land that gave us the great doctor St. Augustine, the great pastor St. Cyprian, and the great mind of Tertullian. Latin was used in the Liturgy in North Africa while the Greek of the East was still used at Rome. This See of Carthage had such a towering influence on the Catholic Church, yet in our day and time Islam dominates the region to such an extent that it is possible to travel through these lands and not see a hint that any Christian had ever even set foot there, much less that they were a cradle of the ancient Church. What happened? The city of Carthage lay at the northern tip of Africa some 130 miles across the Mediterranean from Sicily and just north of the city of Tunis, the current capital of Tunisia. It was founded by Phoenician settlers from Lebanon during the early part of the first millennium before Christ. Carthage developed into a powerful city state that fought three brutal wars with Rome for mastery of the Mediterranean during the third and second centuries B.C. that ended in its defeat and destruction in the year 146 B.C. 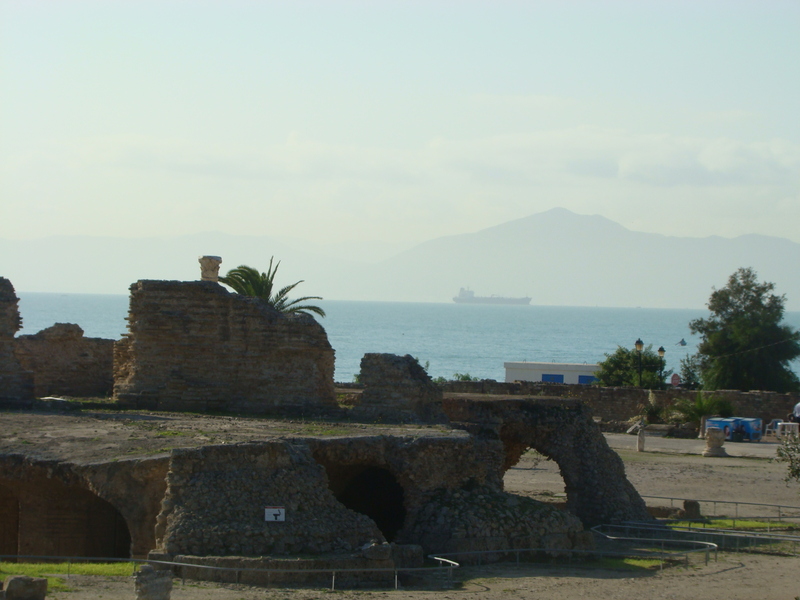 Refounded by Roman colonists a century later the city of Carthage and the province of Africa quickly became one of the wealthiest and most Latinized and Romanized regions of the Empire. The beginnings of the Church in Carthage are unknown but by the end of the second century A.D. it seems to have been thriving. This was the age of Tertullian the first great Latin theologian who, though he fell into error, did much to strengthen the spines of the faithful in Africa throughout a trying period: this also was the age of the celebrated martyrs Felicity and Perpetua who suffered death in the arena of Carthage on March 7, 203 A.D and March 7 remains the feast day of these two martyrs and their companions. St. Cyprian (Feast Day September 16) followed a half a century later and guided the Carthaginian church through the persecution launched by the Roman emperor Decius in the middle of the third century and who was martyred himself in 257 A.D. under the emperor Valerian. The See of Carthage persevered to the age when the Edict of Milan brought peace to the Church throughout the Empire and went on to produce, from its outlying regions, the great doctor St. Augustine of Hippo who set the Western Church on the course that was to guide it through the tumult of the collapse of the Roman Empire on to our own day. Despite this great roll call of saints the church of Carthage and North Africa was plagued by schism and division throughout its life. Tertullian himself fell into the error of Montanism, followed came the century long battle with the Donatist heresy from which the See of Carthage never really recovered. During the fifth century A.D. the tribe of Vandals from eastern Europe came storming through Gaul and Spain and arrived in North Africa. They conquered the province of Africa in 429 A.D., wresting it from Roman control for the first time in 600 years, and sounded the death knell of the Western Roman Empire by cutting off the grain supply from Africa to Italy. More important for the See of Carthage they brought their Arianism, the heresy that denied the divinity of Jesus Christ and that took hold with many of the barbarian tribes at this time, with them. The religion of Arius was the religion of the ruling class, while the population as a whole remained Catholic. Another source of division was added to a province already plagued by schism. After a century of Vandal rule the Catholic emperor Justinian in Constantinople reconquered Africa but the province’s greatness religiously, politically, and economically was now in the past. It lingered under the Byzantines until Islam came like lightning out of the desert in the middle of the seventh century. Carthage was largely cut off from Constantinople by the Arab conquest of the Levant and of Egypt though it was separated from those lands by vast swathes of desert and ocean. Eventually though the Muslims did make their way to Carthage, conquering the city in 698 A.D. The city of Carthage itself fell into ruins when the Arabs founded Kairouan and then Tunis. The Church dwindled from over 400 bishops at its height under the Roman Empire to a mere 5 just before the era of the Crusades, and then it disappears from history. Some small remnant must have remained for a time after that but history does not remember them. The See of Carthage fell into abeyance. It is true that it was restored for a time, during the 19th century when the French colonized Algeria and Tunisia, but the Church unfortunately came with the occupiers and when they left if followed. The Church was never able to make a dent among the Muslim populations of North Africa during the century of French colonial rule. Today whatever church buildings that exist here are used only by foreigners on holiday. There is at present an Archdiocese of Tunis, presided over by the current Latin Patriarch of Jerusalem Fouad Twal. The rest of the ancient dioceses and bishoprics of this once fruitful land are now only titular sees once described by the term in partibus infidelium. Pray the Sorrowful Mysteries of the Rosary on Friday for the See of Carthage, for its liberty and its salvation, and the restoration of its ancient position as a pillar of the one, holy, catholic, and apostolic Church in communion with the See of Peter in Rome and for the conversion of the Muslim peoples.